You know, when a man running to be the president of the United States thinks a taco bowl makes a great Cinco de Mayo tweet and questions the validity of the birth certificate of the first black president, your country has race problems. And it seems like the race issues in our country have only been heightened over the past year with the amount of police gun violence we’ve seen against black men and women, among other dividing incidents. Now, finally, Hollywood is doing more than just speaking out about the issues. They’re taking action. 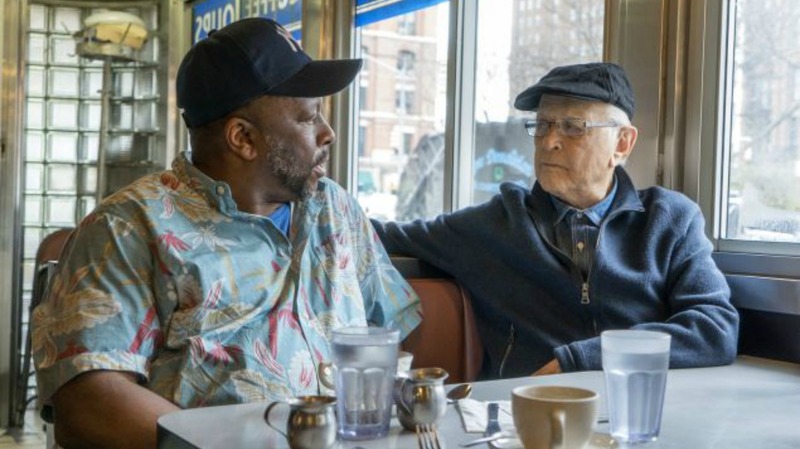 Thanks to producer heavyweights Norman Lear and Shonda Rhimes, a new docu-series called America Divided premiered on EPIX tonight and it was, well, epic. Each episode of the series will bring in different celebrity correspondents who will delve into some of the serious inequality issues our country currently faces. Tonight, Common took on the prison system, and the statistics were staggering. Rosario Dawson and Norman Lear also appeared, covering the Flint water crisis and the housing divide, respectively. When you see the facts laid out so plainly in this way, they are impossible to ignore. I wholeheartedly believe that the first step toward equality is education. Like Donald Trump, I genuinely believe the majority of people in our country don’t realize or understand the depth of their ignorance and bias (not that that’s an excuse). It is with documentaries like this that meaningful and impactful conversations begin. For the first time in a long time, the conversation on Twitter wasn’t negative — it was inspired. #AmericaDivided is important and cannot be missed. an eye opening narrative on the inequalities of our nation. well done everyone involved. There is absolutely no reason not to watch this incredible series. You can find it on the EPIX website if you sign up for a free trial, and it is worth it. Educate yourself. Take a stand on these important issues as we head into a critical election this November. And find something to get inspired by. America Divided is the perfect place to start. Which issue on America Divided‘s premiere did you find the most staggering?